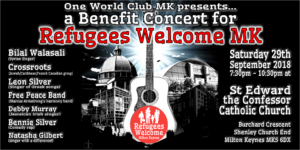 UPDATE: Tickets are selling fast for this Saturday’s Benefit Concert, and we cannot guarantee having any left at the door. Therefore, we encourage you to book online and also to please arrive early, as the show will start promptly at 7:30. 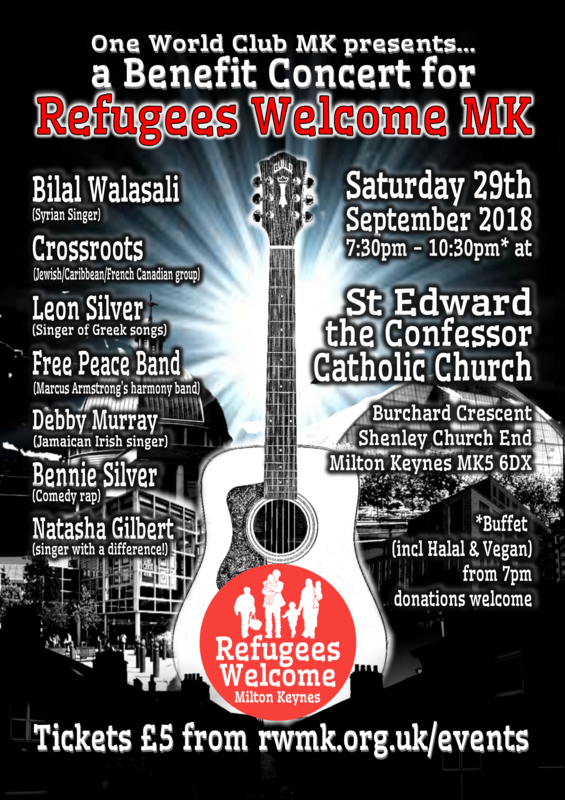 On Sat 29 September 2018, 19:30 – 22:30 BST, at St Edward the Confessor Catholic Church, Burchard Crescent, Shenley Church End, Milton Keynes, MK5 6DX, One World Club MK will be presenting a benefit concert to raise funds for Refugees Welcome Milton Keynes. 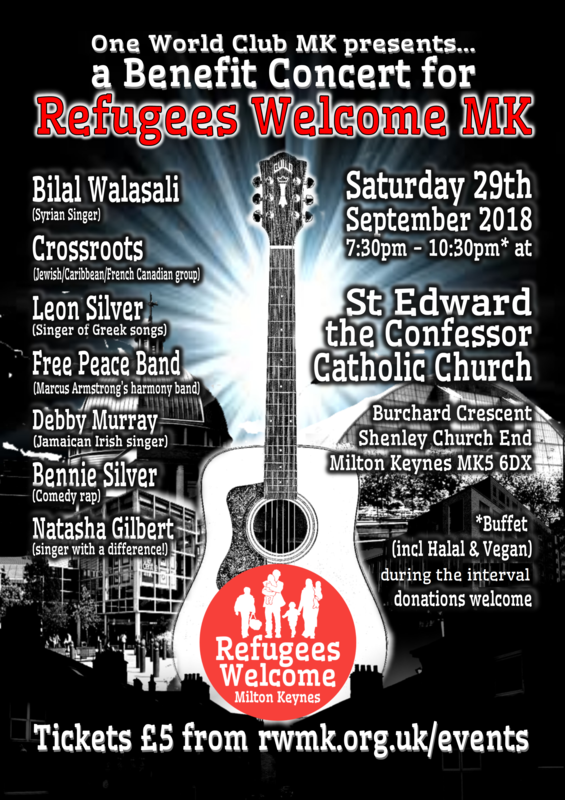 Come hear some great World Music, eat some great World Food*, and support Refugees Welcome MK! *World Food Buffet (incl. Halal & Vegan) during the interval (separate donations for food are always welcome). Tickets £5 from rwmk.eventbrite.co.uk – numbers limited – book early!